SOS Crawl Space Insulation, Inc. Comment: I would like to get an estimate to have the insulation in my crawl space replaced. I recently had a rodent problem down there that has been taken care of, however I'll still need everything replaced. In addition to the insulation, I'll also need the vapor barrier replaced. Please send me an email rather than calling me as my schedule at work is sporadic. Comment: 15 x 30 addition needs insulation in attic. easy access through removed bathroom ceiling. Comment: Remove old insulation and install new insulation in crawl space. Einar Johanson Insulation & Glass, Inc.
Ken Root's Insulation Service, Inc.
27115 N. E. Rupard Rd. 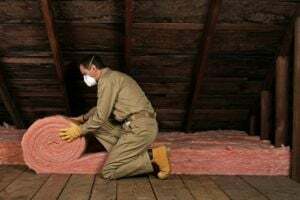 Javco Cleaning & Restoration, Inc.
Everett Insulation Contractors are rated 4.71 out of 5 based on 782 reviews of 24 pros. Not Looking for Insulation Contractors in Everett, WA?